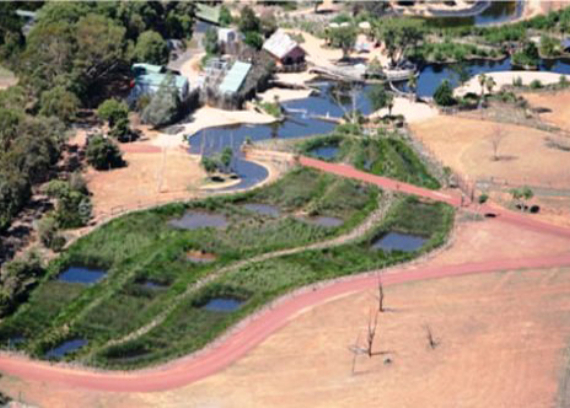 The $8m Hippo Marsh Exhibit at Werribee Open Range Zoo reflects a new approach in the world of zoological design and includes a unique merging of constructed ecology, engineering and design with a key elements being the exhibit pools, filtration wetlands and hydraulic and treatment systems for Kubu River Hippos’. Completed in 2005, this significant land management project involved substantial civil works and the installation of a complex water management system. 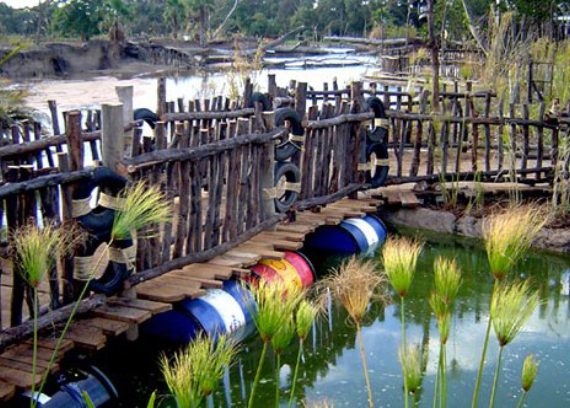 A sophisticated, manually operated hydraulic system was designed to provide the Zoo with a high level of flexibility of operation, to take into account various potential management scenarios, such as life-cycle events (off-spring), ageing, breeding and health issues. Isolation, flow splitting, flushing, drainage or maintenance of the ponds can be carried out remotely, through a system of valves interconnecting pools, inlet chambers and supply channels. 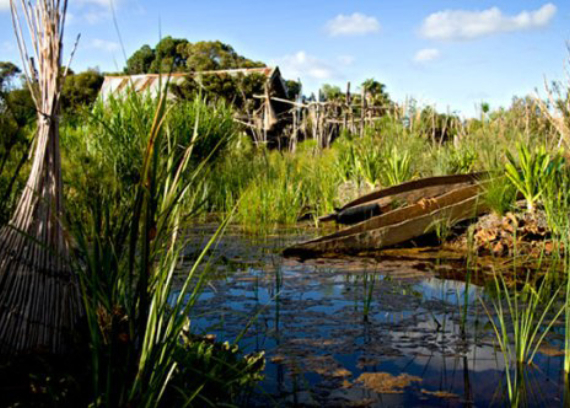 The wetland treatment system implemented in the project includes open, interconnected waterbodies that have been manipulated to resemble the flood plain of the Okavango delta of Botswana. 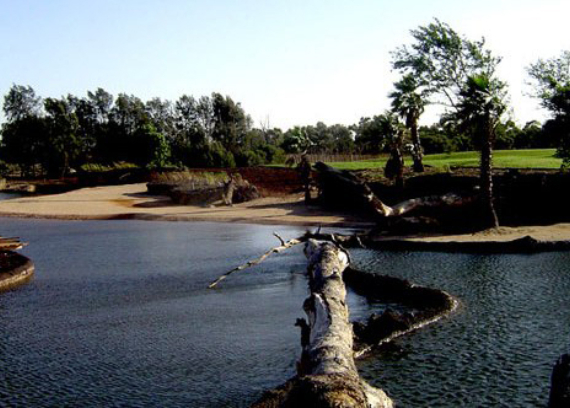 The exhibit design incorporates a reticulated natural filtration system or a wetland treatment system. 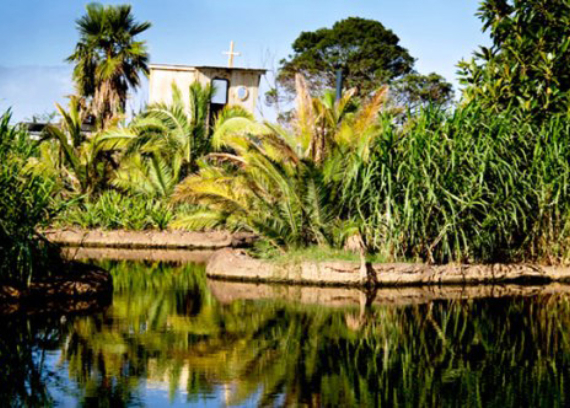 All water from the three Hippo Ponds is filtered through the wetland system to remove suspended solids, trap and physically remove organisms and decrease nutrient levels. 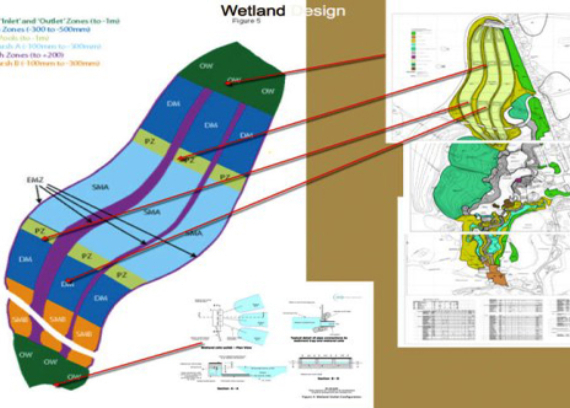 The total capacity of the system including the wetlands is approximately 4.5 million litres. 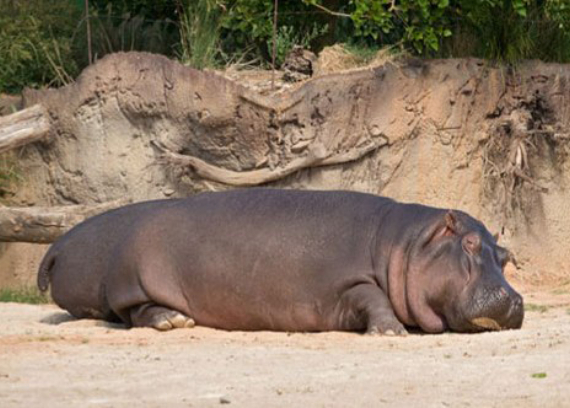 The use of such a system is not known to have been previously been applied in a Zoo exhibit. 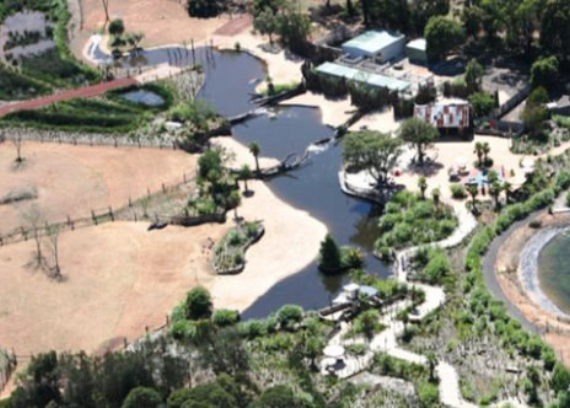 The project is considered to be one of the most successful ever-implemented by Zoos Victoria. 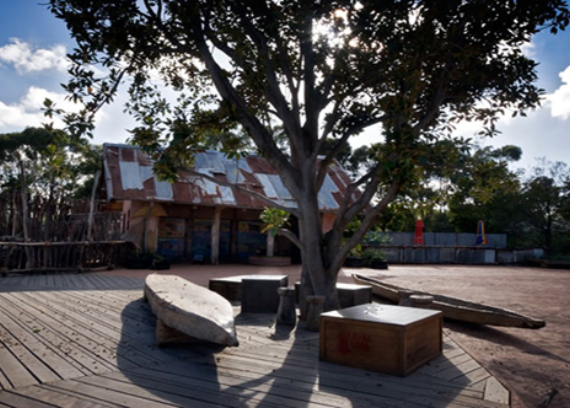 It has won multiple awards including a major exhibit award at the Australasian Regional Association of Zoological Parks and Aquaria (ARAZPA) Awards, an Australian Zookeepers Association Award and the AILA 2008 National Landscape Architecture Award of Excellence.